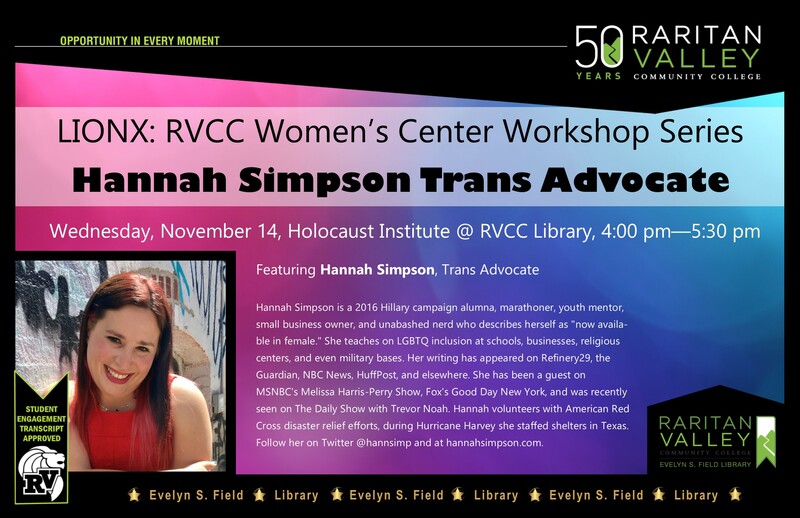 Hannah Simpson is a 2016 Hillary campaign alumna, marathoner, youth mentor, small business owner, and unabashed nerd who describes herself as "now available in female." She teaches on LGBTQ inclusion at schools, businesses, religious centers, and even military bases. Her writing has appeared on Refinery29, the Guardian, NBC News, HuffPost, and elsewhere. She has been a guest on MSNBC's Melissa Harris-Perry Show, Fox's Good Day New York, and was recently seen on The Daily Show with Trevor Noah. Hannah volunteers with American Red Cross disaster relief efforts, during Hurricane Harvey she staffed shelters in Texas. Follow her on Twitter @hannsimp and at hannahsimpson.com.